GCC spec vehicle with 8 cylinder engine, brown interior and automatic transmission. Imported spec vehicle with 6 cylinder engine, beige interior and automatic transmission. Imported spec vehicle with 8 cylinder engine, black interior and automatic transmission. Automatic 2018 Lexus LS 500 with 19 inch wheels, LED headlights, air conditioning, beige interior, grey/silver exterior. Burgundy 2018 sedan. Tan interior. It features power windows, 20 inch wheels and bluetooth system. Reduced price! Black Lexus LS 460 2016 from 2016 with tan interior. Automatic Imported spec Lexus LS 430 with 17 inch wheels, leather seats, tuner/radio, grey interior, grey/silver exterior. 2016 Lexus LS 460, priced at AED 179,000, with features such as power windows, power locks, tuner/radio. It has beige interior and is Black. Imported spec. GCC spec Lexus LS 460 with AUX audio in, 19″ wheels and Bluetooth system. Price reduced! GCC spec Lexus with AUX audio in, 19″ wheels and Power locks. Price reduced! Lexus LS 430 with many features, including tuner/radio, blind spot detection mirror, ABS. Black with beige interior. 2005 Lexus LS 430 with Cooled front seats, 18″ wheels and ABS. Price reduced! 2003 Lexus LS 430 white sedan, burgundy on the inside with heated seats and analog clock. 18″ wheels. Imported spec 2006 Lexus LS 430, 8 cylinders, grey/silver sedan with grey interior. It comes with MP3 interface and leather seats. Reduced price! Grey/Silver Lexus LS 460 from 2008 with grey interior. Imported spec Lexus LS 430 with Rear wheel drive, 17″ wheels and Heated seats. Price reduced! 2011 Lexus LS 460 with rear wheel drive, leather seats, tuner/radio. It has beige interior and is White. Imported spec Lexus with ABS, 16″ wheels and MP3 interface. Price reduced! GCC spec Lexus with Airbags (front and side), 19″ wheels and Tuner/radio. Price reduced! Imported spec 1999 Lexus with Rear wheel drive, 16″ wheels and Air conditioning. Price reduced! Automatic Lexus LS 600 with 20 inch wheels, air conditioning, premium sound system, beige interior, white exterior. White 2010 sedan. Black interior. It features CD player, 20 inch wheels and premium sound system. 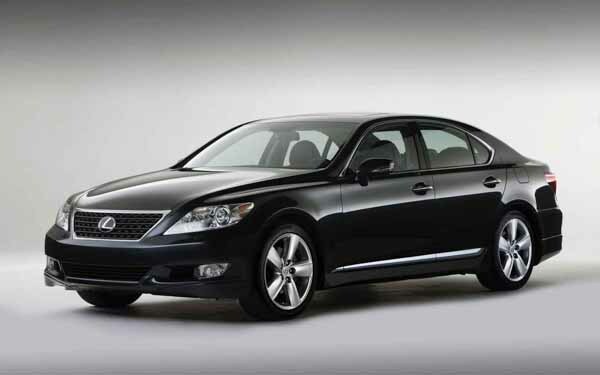 Lexus LS 460 for AED 210,000 with many features, including cooled front seats, tuner/radio, ride height control. Black with tan interior. 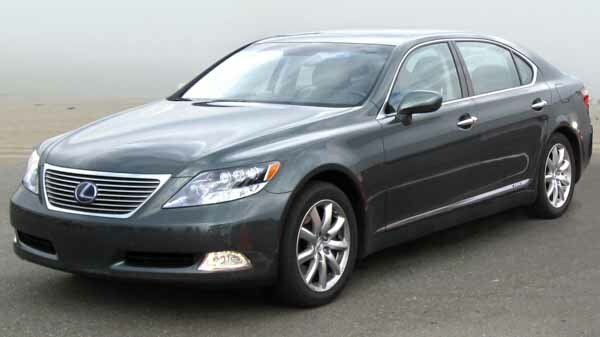 Automatic 2010 Lexus LS 600 with 20 inch wheels, air conditioning, tuner/radio, beige interior, white exterior. GCC spec. 2003 Lexus LS 430 price AED 55,000, with power seats, power windows, fog lights. It has black interior and is Black. Imported spec 1993 Lexus with Air conditioning, 16″ wheels and CD player. Price reduced! Imported spec black sedan, black interior with parking sensor rear, rear camera and a 8 cylinder engine. Imran - There’s nothing like a second hand import LS460L. Excellent car equipped with a V8, cooled seats, high-grade leather, navigation its got everything I need and if I want to export back to America it’s easy. Pros: Powerful engine and options to rival any Mercedes-Benz S-Class. Cons: Can be hard to park at times. Tony - Great car, no major issues of the past few months, however even though it's a long wheelbase the rear boot space is small, and the handling can get sloppy. Otherwise a great car. Pros: Comfortable rear seats with lots of leg rooms. Cons: Limited boot space and handling. Ameer - I bought a used LS 400 1994 model last year, I was sceptical that an old car wouldn’t last a long time; I've had no major problems since I bought it and even though it’s 20 years old its engine is still powerful. Pros: Strong engine and options. Cons: Interior trim keeps falling off. Crammed with tons of features it sends chills down its rivals backs with its lower price point. POWER! 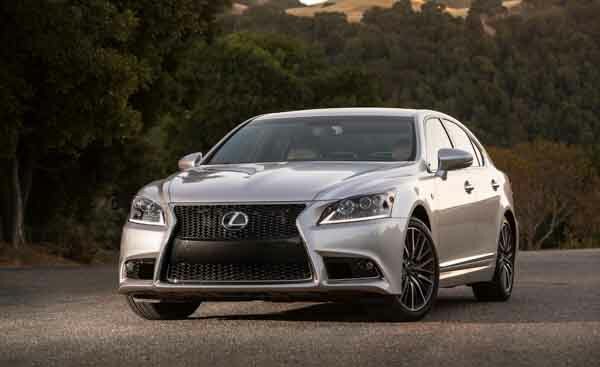 With all models packed with a V8 motor, the LS series in no slouch. Age is just a number to these sedans, they just seem to live forever. Sure they may have some issues over the years but compared to others, it’s quite robust. 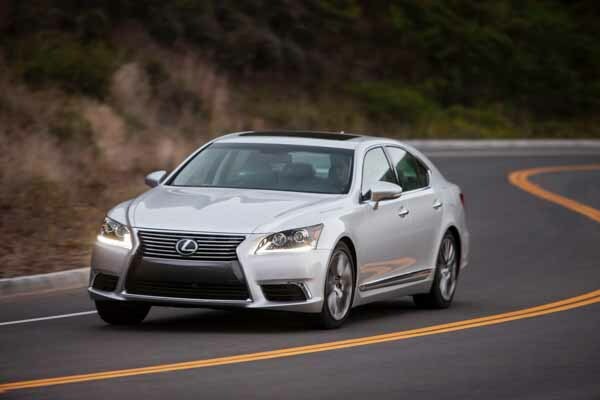 No matter how old the vehicle may be, you can always find a buyer for a pre owned Lexus LS cars in Dubai, UAE. Latest models have got the looks to match anything rolling off the German production line. Launched in 1989, Toyota’s luxury division worked wonders across the world as their cars proved popular. Over the years, they have won numerous awards including most reliable sedan amongst other prestigious titles. It serves as their flagship model and for good reason as it’s not only powerful but ultra luxurious as well. It takes the fight straight to the Jaguar XJ, BMW 7 Series and Mercedes-Benz S Class. Even though it’s a Japanese sedan, they were never actually sold in its homeland as such. Instead they were added to the Toyota line up and re badged as the Celsior. 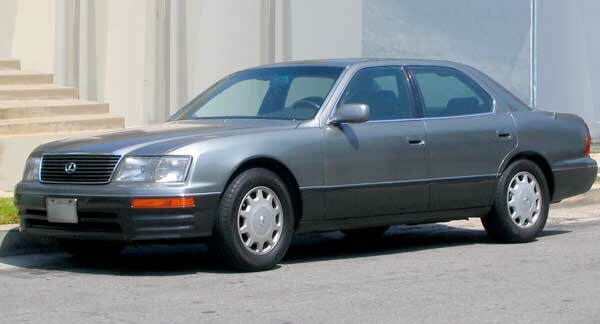 The LS 400 was the first LS to roll out of Japan and made its debut around the world as a 1990 model. Customers went mad with the amount of luxury that came stock with base models; wooden trim powered leather seats for up to five people and more. Optional extras included memory options for the front seats, premium sound system and a built-in mobile device. Over the years, Lexus added larger brake discs, adjusted the suspension, added a digital odometer and navigation as another optional extra to drag more sales away from other premium cars. In 1994, the luxury sedan entered its second generation that added rounded edges to strafe away from the boxy shape, extended the wheelbase and decreased overall weight. All the standard and optional features offered. 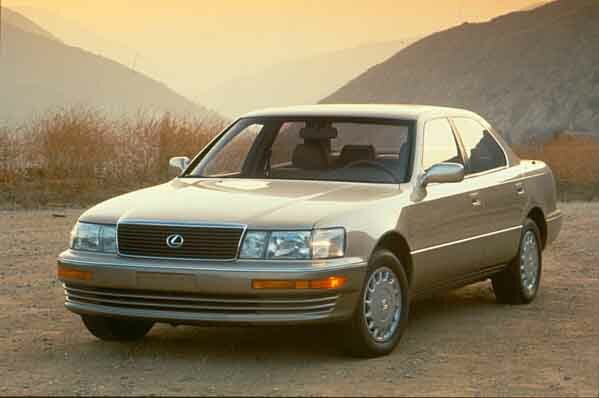 1997, saw the sedan receive a minor refresh again, and Lexus added safety features to the menu such as stability control, brake assist, side airbags along with all the other features from before. Underneath the bonnet is a V8 4.0-litre petrol motor powering the wheels. 250 horsepower is sent via a four-speed automatic transmission and was the only engine set up available. Although down on power by today’s standard, it could still reach a top speed of 250 km/h and run 0-100 km/h in around 8.5 seconds. 94 and above models had their engine tweaked to produce 260 horsepower and better fuel economy. 97 models and up pumped out 290 horsepower. Plenty of these models can be found around the GCC and with the price starting off as low as AED 11,000. It’s a tough choice to say no. Now entering its third generation, the LS 400 badge was dropped in favour of the LS 430 badge and for good reason. With complete redesign both inside and out, the luxurious Japanese sedan continued to prove popular. The wheelbase was increased again for a longer stance and height adjustable suspension was added. All of the options returned within the updated interior: leather seats, digital climate control, wooden trim, premium sound system and powered front seats became standard. While sunroof, upgraded navigation system, memory seats, cooled front seats, massaging rear seats and adaptive cruise control. Safety features were added too: parking sensors, rear camera, EBD, Pre-Collision system and side airbags. Throughout its life as the LS 430; the sedan received minor adjustments to the exterior and interior. The reason for the name change, a new 4.3-litre V8 engine was dropped in the engine bay. 290 horsepower powers the rear wheels via either a 5-speed or 6-speed automatic transmission. 0-100 km/h time shortens to 6.7 seconds, and top speed stays the same. 2006 saw the 430 monikers dropped in favour for LS 460. Going under the knife once again, giving a brand new look to the cars. From there it continued to ruffle the feathers of its German counterparts. All the options and extras remain the same, with this generation also including a rear executive package. The middle rear seat is removed and replaced with an armrest with control interface to adjust the seats, activate messaging abilities and cool them, dual TV screens are available as well. The stereo system is updated to a 19 piece set up complete with an onboard storage device that could hold over 4000 songs. These models were available has LS460S along with the extended wheelbase. 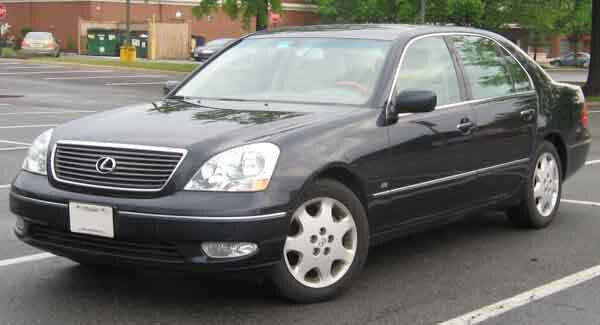 A hybrid option was made available in this generation, badged as the LS 600 h. It came with all the regular features and various extras with the only differences here being that it has blue highlights surrounding the front logo, and it’s larger motor with hybrid technology. As with the 460, 600 models also had long and short wheelbases. Once again the name changed due to the size of the engine. As you may have guessed the V8 now has a displacement of 4.6-litres. A 5.0-litre engine for the hybrid drivetrain was added. Drive is sent to the rear wheels or all four of them via an 8-speed automatic transmission or CVT. Petrol motors generate between 342 to 375 horsepower whereas hybrid power pumps out 438 horses, top speed for both models is above 250 km/h. Minor adjustments were made to the vehicle's exterior in order to keep it fresh. Options and engines remain similar with no major additions to report on. A complete redesign once again to the luxury sedan; this generation also introduced the world to the various trim levels available. Starting with Premier, F-Sport, Prestige, Platinum and Titanium, the first two are restricted to short-wheel base models with the last three being available with a long wheelbase setup. Base models now came equipped with a moonroof, xenon headlights, cruise control, paddle shifters, navigation and everything else previous models have. Engine specs remain spot on from before. 2016 model year cars follow on from Lexus designs that features on the LX 570, the new look helps prove that the LS series is here to stay. Retaining all the previous options interior and exterior wise. Both the petrol and hybrid engines remained underneath the bonnet.